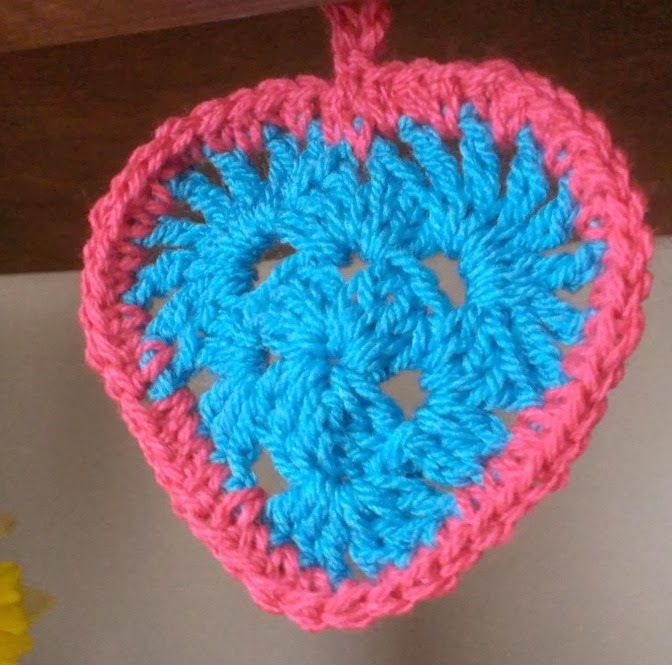 We are totally full of colds and bugs this week so I decided to cheer myself up with some heart making. 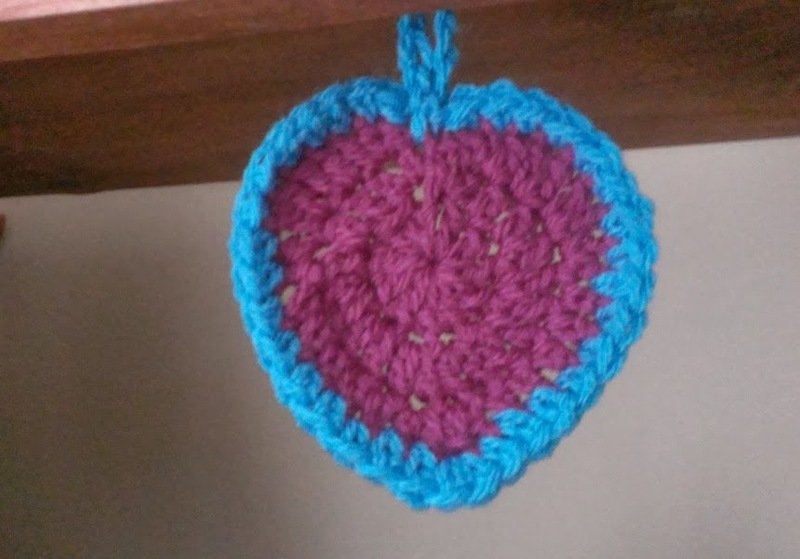 I was inspired by the latest issue of Simply Crochet (15) and they had a super quick heart so I gave them ago. It was so quick and looked super cute I wanted to hang it up so I added a border with a loop. 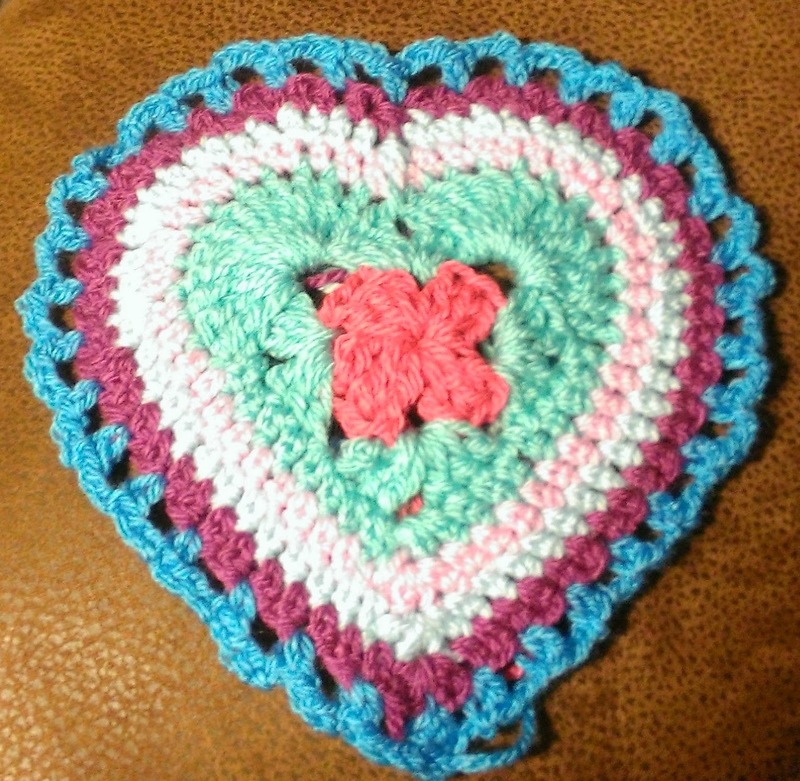 I then saw this gorgeous Granny Sweetheart Pattern on Crochet and Other Stuff and knew I had to make it. Not quite sure what I am going to do with it. 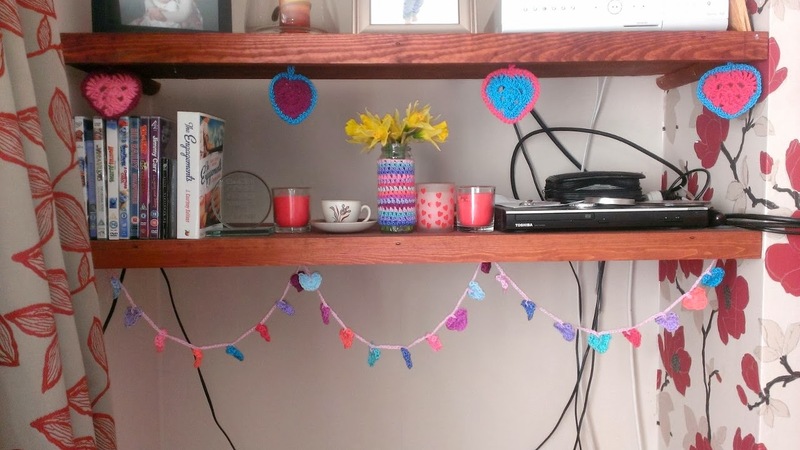 I then decided that what my shelf needed was some heart bunting so I did a search and found these tiny hearts on The Stitchin Mommy. 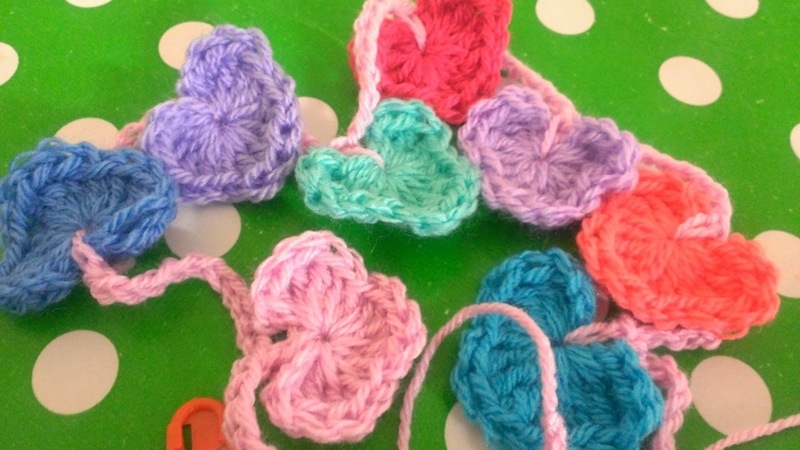 I made 24 hearts and then added to a chain of crochet. I started with a chain of 15 then using one DC stitched to the chain. 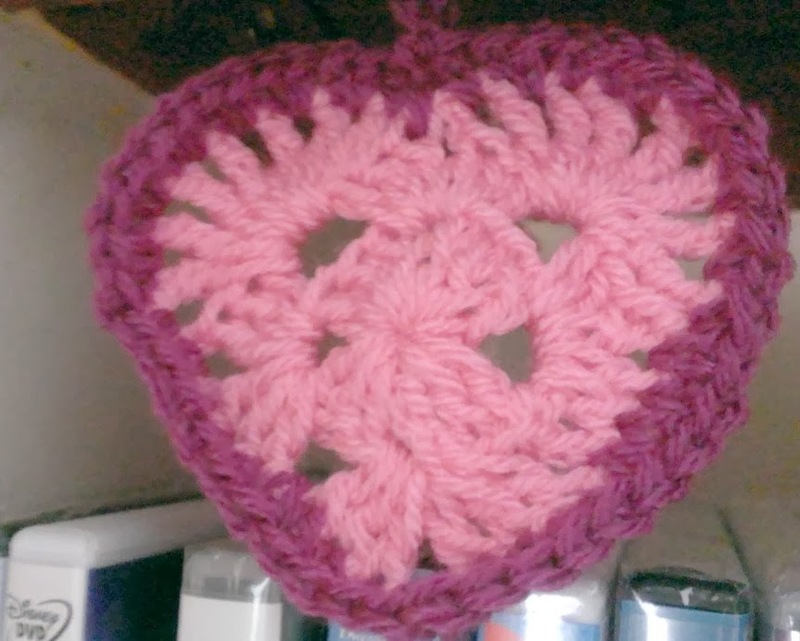 I put the hook through the middle of the heart and then chained 10 and added the next. I am really please with it and my shelves look pretty again or will once OH hides the cables. My next mini project is some mini spring garlands inspired by Lucy at Attic 24. I think I will also work on some spring bunting. You are SO clever! 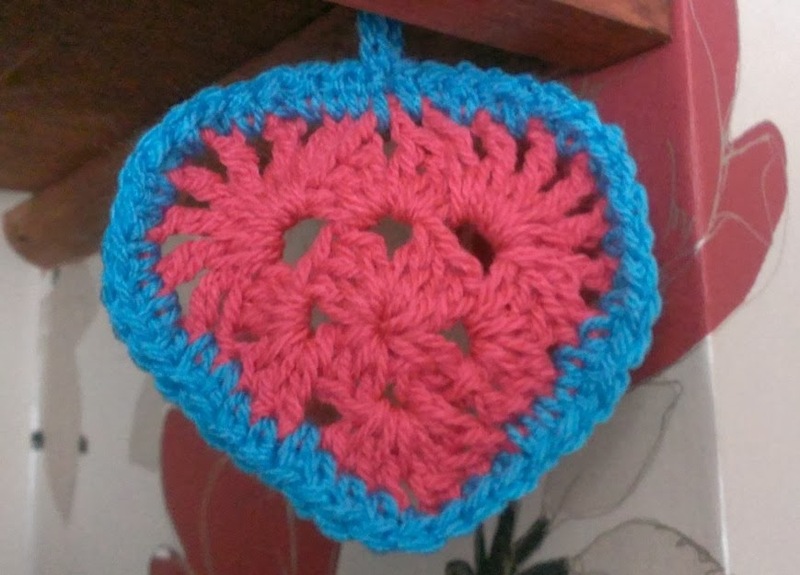 I just can't get my head around crochet at all. But I'd love to be able to learn one day! Your hearts are so pretty. 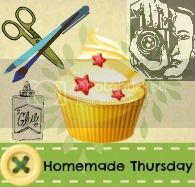 I love the bunting; what a lovely idea! I'm working on some snuggle blankets for the grandchildren and maybe a grannysquare scarf that I've seen with tassels. 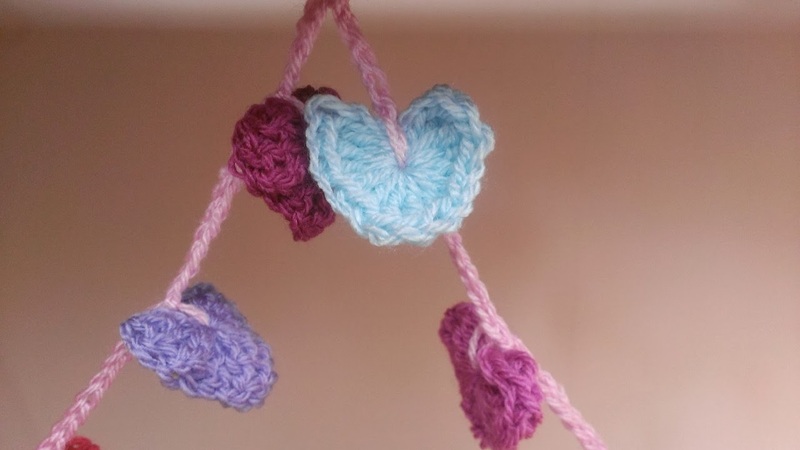 Those crochet heart garlands are so pretty. I am working on a bunch of crochet animals for an upcoming crafts fair, working on a walrus right now.